Those whom the gods love die young, goes the saying from Greek mythology. David Thompson, who died in office as the Barbados prime minister, age 48, early Saturday morning (Oct 23) must have been one of those. He died at his St Phillip home in eastern Barbados just a few months after being diagnosed with pancreatic cancer. David Thompson, in better days. In the Caribbean not many leaders die in office shy of their 49th birthday. The hottest talk in fellow Caribbean Community (CARICOM) country, Jamaica, these days is that it’s time for the older leaders in politics to step aside and make way for a more youthful generation who, the argument goes, will be more visionary and less corrupt than their elders who have almost irreparably ruined the country. Thompson’s turn as prime minister starting January 2008, came as the world economy nosedived taking almost all in its wake and he could hardly do anything based on his political experience or legal training to stop the decline in tourism and the offshore industries that depleted foreign exchange earnings, sent unemployment soaring and prices in the shops galloping. His lifelong association with the Democratic Labour Party (DLP) had placed Thompson on the national stage since his 20s and for a variety of reasons, including unfounded and untrue innuendo that he was the illegitimate son of flambouyant leader Tom Adams, was always in media crosshairs for ambition to the highest political office in his country. He entered parliament in 1987, at 26, when he won the seat vacated by the death of DLP founder and Barbados national hero, Errol Barrow. 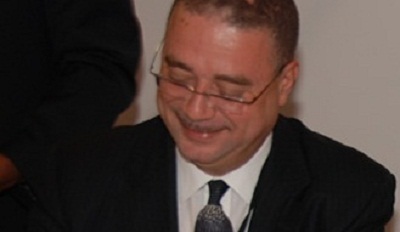 When during a period of internal tussle within the DLP, after he had led the party to defeats in 1994 and 1999 general elections, Thompson stepped aside as opposition leader to concentrate on his growing and lucrative offshore sector practice, he came under severe criticism for supposedly being an opportunist not committed to national and party interests. The perception gained a level of credence when in 2005, Thompson, possibly sensing an end of Barbados Labour Party (BLP) sojourn in office under Owen Arthur, returned to challenge the neophyte leader, his friend Clyde Mascoll who had guided the DLP through its wilderness years. Across the political aisle from Thompson until October 18 when she was deposed by a faction supporting Arthur (born Oct 17, 1949), was the slightly more youthful Mia Amor Mottley, the ebullient and articulate lawyer who had succeeded Arthur at the helm on the BLP. She was the first woman to lead the party, the first woman opposition leader on the island and during Arthur’s administration was the first woman attorney general. She was credited with a host of legal, educational and economic successes during various portfolio responsibilities including education, youth and economic development. The unmarried Mottley lives in a region where perception is everything. Where Buju Banton is king for “licking shot inna batty bwoy head”; and where Jamaica’s prime minister, Bruce Golding, has declared to the BBC that gays would sit in his Cabinet over his dead body. While Barbados generally has more tolerant views on matters of sexuality, it is still easy to manipulate strong public sentiments. Whether it was a generational gap, an indiscretion or a hungry grab for power or all of the foregoing we may never learn. But Mottley’s mere relative youth did not serve to out manoeuvre guile and cunning. Maurice Bishop was 34 when he and his New Jewel Movement colleagues ousted the 59-year-old goon, Eric Gairy, from power in Grenada in March 1979. His deputy, Bernard Coard was born the same year (1944) but their youthful exuberance led to a dark place in October 1983, when Coard, under the influence of fellow Marxists in Jamaica’s Workers’ Party, managed a coup which led to the murder of Bishop and scores of others. Hudson Austin, their colleague and army “general” who took power before the Americans entered and deposed him, was 44 in 1983. Michael Manley was 47 when he first became prime minister of Jamaica in February 1972, and his democratic socialist pro-Cuba, non-aligned incumbency which ended in 1980 with an election that was a near military ouster led by stanchly pro-USA Edward Seaga. Manley had succeeded his cousin Hugh Shearer, who was 44 when he inherited the premiership from Donald Sangster in 1967. If political pundits are to be believed, the conservative JLP labour union leader inherited a prosperous and expanding economy from Donald Sangster, born 1911, who died within a few weeks of succeeding the geriatric, blind and almost crippled Alexander Bustamante who took the country into independence in 1962. The Anglophone Caribbean countries, several now struggling with International Monetary Fund agreements, have not performed spectacularly. Indeed, by the look of it many have performed dismally. Jamaica limps along with no real economic growth for decades; Barbados plods steadily along with moderate growth based on its enviable social capital investment. Guyana? What can one say about its abject failure with immeasurable natural resources? Trinidad and Tobago’s vaunted industrial base is tempered more by the vagaries of international oil markets than sound government or private sector policies and practices; and the Organisation of Eastern Caribbean States countries maintain stability primarily on the discipline brought on by their close monetary integration.